Essentially the ADA provides the public with protection against discrimination, and provides equal employment opportunities. Under the ADA a person with a disability is described as someone who has a physical or mental impairment that substantially limits one or more major life activities, has a record of such impairment, or is regarded as having such impairment. 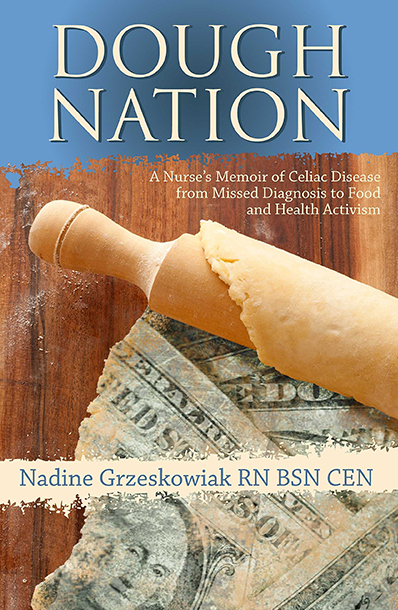 Celiac disease is also considered an “invisible disability” under the ADA. “Invisible disabilities” is an umbrella term that captures a whole spectrum of hidden disabilities or challenges. Celiac Disease, Food allergies, and other intolerances are all considered invisible disabilities. School can be especially difficult for anyone with celiac disease. Luckily, students with disabilities are covered under Section 504 of the Rehabilitation act of 1973. Essentially all public schools and any federally funded programs must provide equal access to all programs and services as those who are not disabled. Colleges are required to abide by section 504. The section states that if a school accepts federal funding then they must abide by the 504 act, and therefore must make any necessary accommodations. Which in turn means that schools (even colleges) must provide equal programs and services to all students. Currently there are colleges across the nation that have began to accommodate gluten free needs. Here in the Willamette Valley both Oregon State and the University of Oregon have implemented gluten free menus. How do I file for a 504 plan? Documentation requirements vary by state however usually school officials will require proof of diagnosis, explanation of how celiac disease affects diet, and how it may adversely affect a person in an educational setting. If further assistance or information is needed on this topic you can contact the Americans With Disabilities Act for more information. The ADA may provide you with a caseworker that can help you with your specific situation.